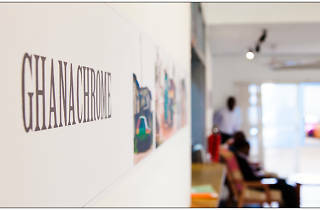 Ghanachrome is an exhibition by the German cameraman and photo artist Grischa Schmitz. During the shooting of the documentary Adopted in Ghana in 2009, he took the time to document his surroundings and the time spans he spent on the road. 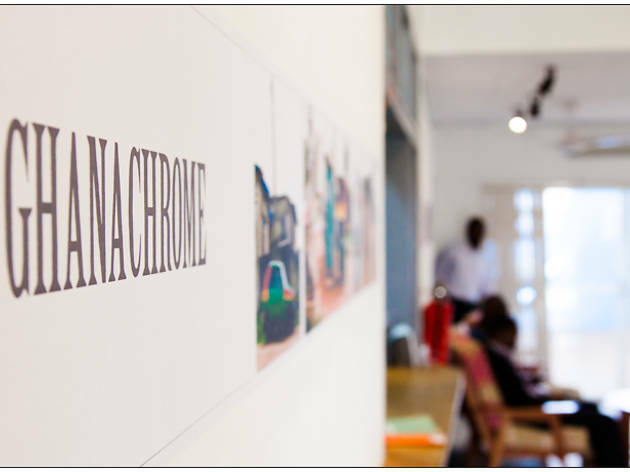 From Ghanachromatic to Ghanachrome, Schmitz' artwork is one giant poster of which the fragments will be pasted on the Institut's walls.